I could consider the 2018 season to have been a complete waste of time if I went by my posting from December of last year where I said I’d found my “leverage niche.” using the SwingRite training tool in my off-time. If you’re wondering about my obsession with the flat-foot impact position with the trailing foot, it’s because I know what the mechanics mean – full and complete leverage and application of “push” power with the 2nd Lever or right arm. 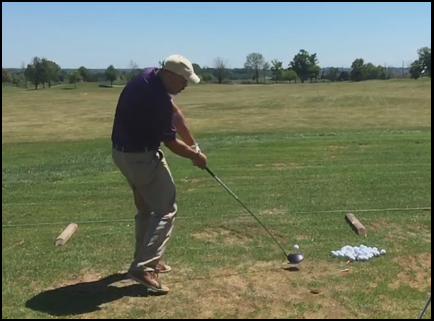 Of course, while swinging the SwingRite, I was able to duplicate that right arm and foot action through the swing bottom, but I wasn’t tight enough in my right side pivot action, which leads to the trailing heel coming up prior to impact. Aside from the fact that my still shot was taken at an angle and Dunaway’s from directly down the line, you would see almost no difference in the two positions if viewed from the same angle, except I have a bigger hip turn than Dunaway with his very low leading heel. … and I’ve even mused that Dunaway could have been even longer than he was, with a higher heel lift (and thus more hip turn on the pivot). Getting back to this year’s work – I was frustrated at season’s end that I hadn’t yet got my swing mechanics to where I knew they could be based on my SwingRite work, but then I did something I should have done a year ago. I went over and over the pivot action that I felt was the most leveraged, “in the niche,” if you will, and this time, I actually looked at what my right side and arm were doing. Then, I took the feel and began to make swings without trying to do anything other than duplicate the feel, and that’s when the revelation hit me on exactly what “optimally tight” actually was for me in my pivot action. 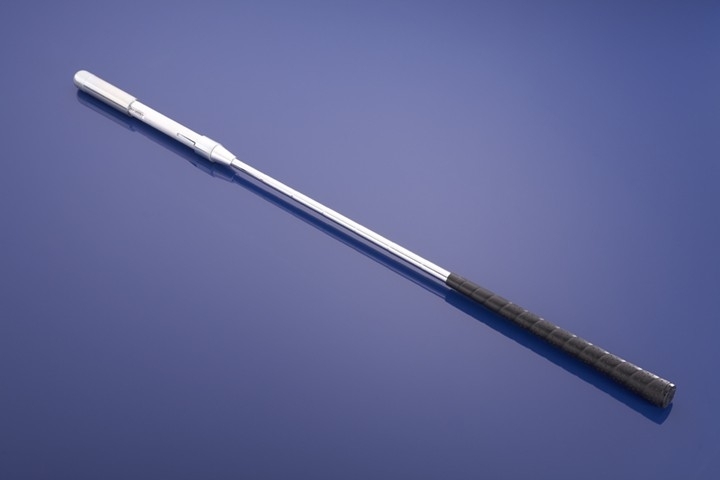 Now, some swingers never solve their personal issues, whether it’s a steep down swing plane or an outside-in club path, a hook or flying foot at impact – I have, in the course of my swing research, solved every problem that arose in my own swing and this last issue of the early lifting trailing heel was the last one. 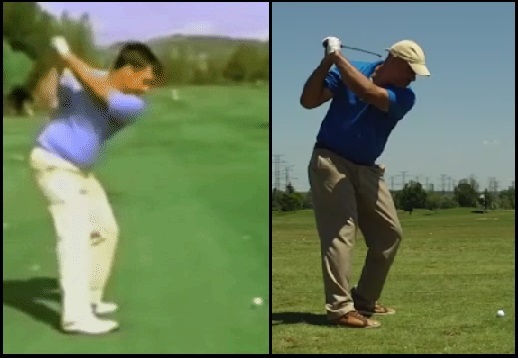 So, now that I’ve isolated this issue, I can put it all together and understand why my actual swing action never duplicated the practice and training swings. And that, my friends, was well worth the year’s wait, considering that for some, that solution never comes! This entry was posted in Leverage, MCS Golf Swing, Mike Dunaway, Pivot, Push vs Pull, Throw Release and tagged DJ Watts, Leverage, MCS Golf Swing, Mike Dunaway, Pivot, Push & Pull, The Throw Release, WAX Golf on November 28, 2018 by D Watts. I have never seen a Swingrite trainer. What is it about the device that you like? You’ll notice the distinct “Dunaway Step-Around” I get when I swing it my fastest. Now, I need to put that action into my real swing, which is the subject of the above posting. I put it away years ago when I was still in the M.A. camp and couldn’t get it to click lower than the “5” setting, but when I got it back out a couple of winters ago, I found that I could click it on lower and lower settings with what is now the standard MCS swing model. DJ – Sorry, but can you tell me specifically what you mean by “tight” in your swing pivot? Hey JJ – nothing new, just my coming around to practicing what I preach regarding the pivot and the right arm – I know you have the last video “MCS – The Kinetic Chain,” – it’s what I’m referring to in the segment on the broken-down “One Major Move” with the right arm and the hitch-hike concept. 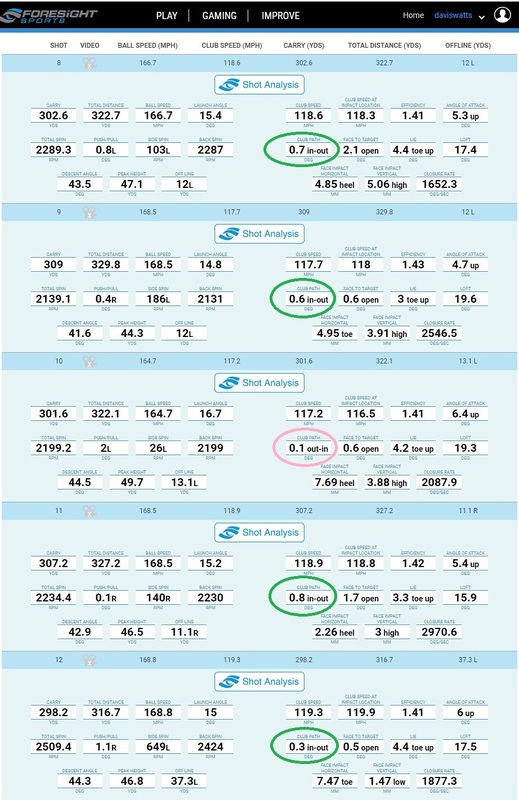 As I showed with the shot data, getting closer to this action myself really changed my numbers with regards to club path at impact, as well as adding more power with the same effort and a shorter back swing – I’m not talking about anything that isn’t in the video. Perfect, thanks. Love the hitch-hiker move. Hi, DJ, I tried posting this yesterday but somehow WordPress didn’t send it to you. Anyway, I was in the Philippines for two weeks and enjoyed your posts. While it was not a golf trip but a wedding trip, I visited our future home site at Tagaytay Highlands, with two fantastic courses. Check it out at http://www.tagaytayhighlands.com. My comment has to do with the fact that once again you nailed the importance of the flat trailing foot at impact. 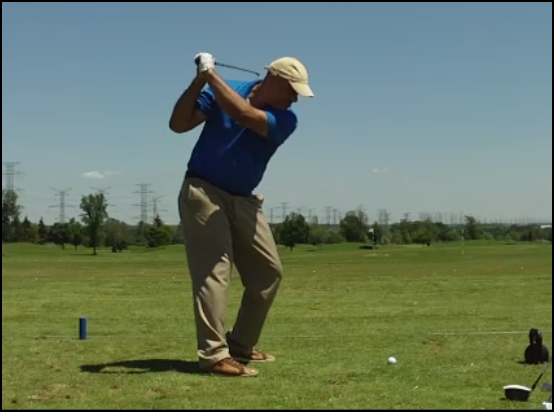 Several online instructors mention that you want the feeling of “snapping a towel” at impact. That means that something has to stop the motion in order to get the true “pop”. Older pros have mentioned that they the longer they keep the trailing foot flat, the straighter the ball flies. It seems feasible that if the trailing foot is lifting that could reduce power at impact, as well. I will be working on this idea over the off-season at my local dome. keep up the good work, my friend and I’ll let you know when the house is finished if you’re interested in a long flight to paradise. I checked out the site, looks like a lovely place to live and play golf, Bill! And yes, the lower the trailing foot – provided it’s done naturally and not a manipulated action that would put a whole lot of stress on the lower back through impact – is the key to maximum and efficient power, accuracy and consistency lies in that trailing foot!